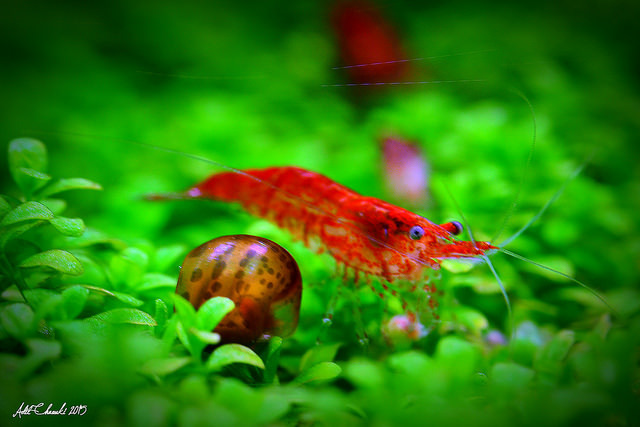 One of the most popular freshwater shrimp you can keep in your aquarium, the cherry shrimp is an excellent choice for a novice or experienced aquarium hobbyist. These adorable invertebrates come in various shades of red, and add a pop of vibrant color to any setting. 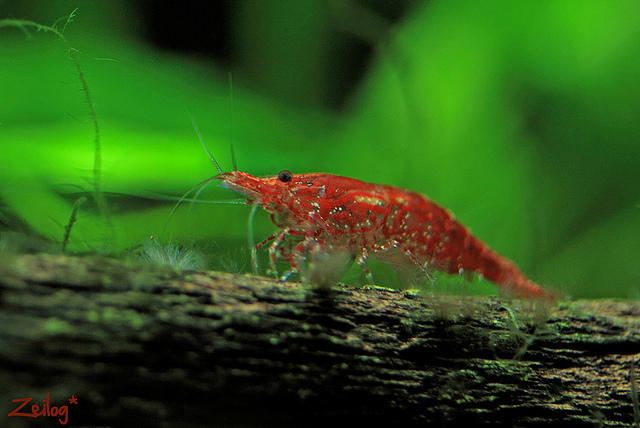 If you’ve never before raised cherry shrimp, you’re in for a fantastic experience. 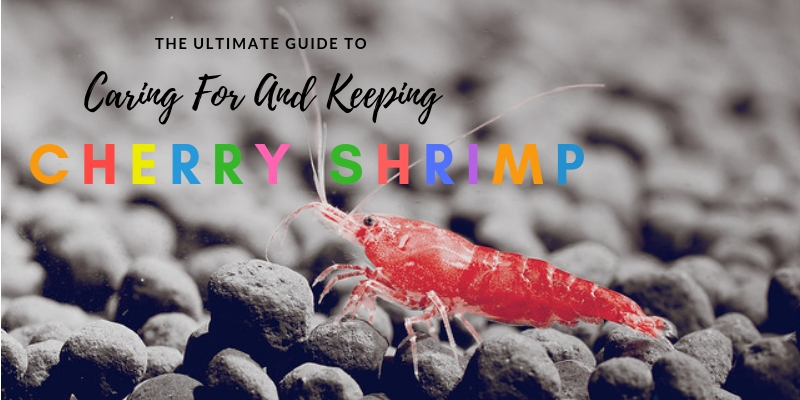 Consider the ultimate guide to the cherry shrimp to help you get started in this exciting endeavor right away. What Do Cherry Shrimp Eat? Is A Cherry Shrimp Right For You? 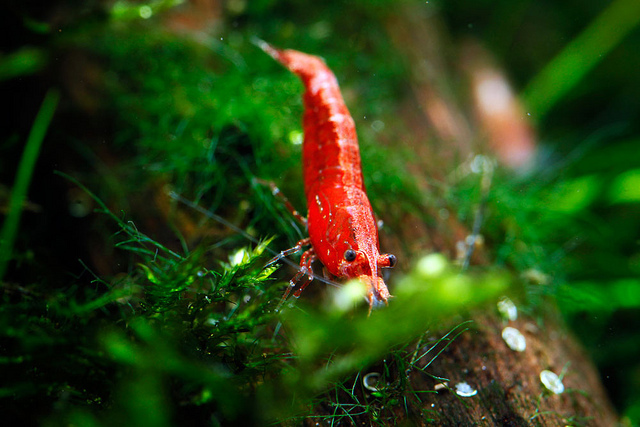 The cherry shrimp, also known as the red cherry shrimp and scientifically known as Neocaridina heteropoda, is a small freshwater shrimp native to Taiwan. Because it is so small, it is considered a dwarf shrimp. This species belongs to the Atyidae family of invertebrates. Besides cherry shrimp, there are over twenty different types of shrimp. 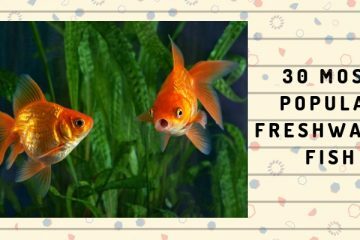 These peaceful creatures are commonly kept in freshwater aquariums for their ability to eat large amounts of algae, helping to keep your fish tank clean and tidy. 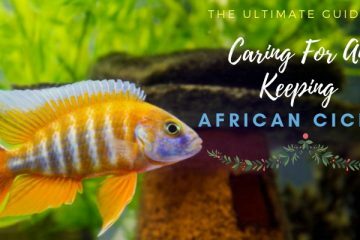 They are easy to raise by both beginner and experienced fish keepers, hardy under most conditions and resilient to most stressors. These shrimp come in a variety of colors in the wild, but when they are sold commercially are typically only sold in a deep red hue. This hue is the result of years of selective breeding for the shade, and now they are actually graded and marketed based on how deep and well-shaded their particular shade of red is. This hardy invertebrate can live in all types of freshwater aquarium set ups, living for up to two years. It prefers tanks that are heavily planted and offer plenty of spaces for it to hide. Cherry shrimp are small, with the females growing only to one and a half inches in length. Males grow slightly shorter. What these creatures are known for, however, is their coloration. 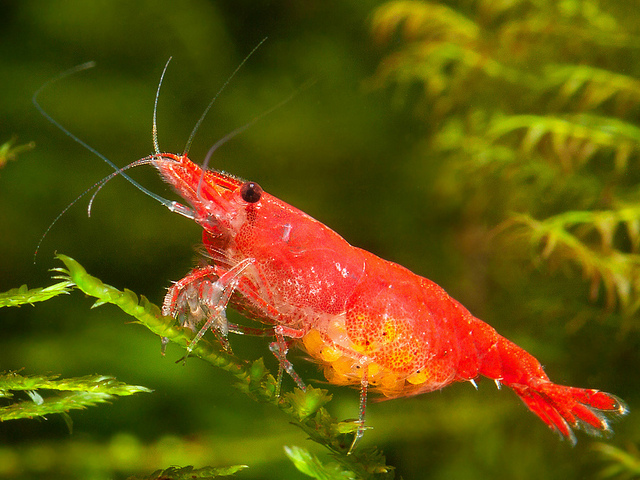 Cherry shrimp are graded based on their coloration, with grading ranging from the deepest red to more muted colors with red spots. Cherry shrimp are known for being nonconfrontational and peaceful organisms. They spend most of their day grazing on whatever foods they come across, including algae, substrate, moss, or even plants. They are active creatures and tend to be busy at both day and night. There are several types of cherry shrimp, most of which can be differentiated based on their coloring. Cherry shrimp, or “regular” cherry shrimp, are the lowest grade of the species. They tend to be mostly clear (almost transparent) in color with dark red patches. The Sakura Cherry Shrimp, on the other hand, is a bit darker in color but has clear spots on its body. The Fire Red Shrimp is a bright, solid red, while the Painted Fire Red Shrimp is a solid deep red with absolutely no transparent areas. These shrimp also have red legs. 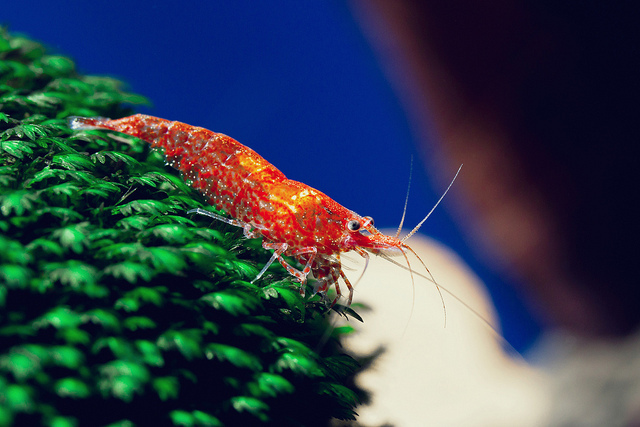 These are the most expensive varieties of cherry shrimp because they are such a bright, vibrant color. Regardless of the grading or specific type of cherry shrimp you decide to own, keep in mind that the females will always be larger and more colorful than the males. Young shrimp typically don’t display major differences between the genders, but mature females will develop an orange saddle that is used to hold her eggs. Beside the size and coloration, this is the easiest way to tell the difference between male and female cherry shrimp. When you are setting up your cherry shrimp’s tank, try to mimic its natural environment to the greatest extent possible. Cherry shrimp thrive in aquariums that are densely planted, particularly in those that have lots of hiding spaces and decorations. You do not need to use a heater in your cherry shrimp tank. The exception to this is if you want to keep the water temperature very stable or if your tank is located in a drafty room, or one that is otherwise unpredictable when it comes to temperature patterns. However, you do need to invest in a good filter. One of the greatest challenges involved in raising cherry shrimp is that most conventional filters are too high-powered, and your shrimp can easily be sucked inside. This can be prevented by using a sponge filter. If your tank necessitates using a larger, higher powered filter, like a canister, use the inlets with foam. This will help reduce flow and prevent your cherry shrimp from being absorbed by the filter. Lower grade shrimp can tolerate poor water conditions, but the higher grade (or more expensive) your shrimp are, the more attention you will need to pay to the quality of the water. The ideal pH for a cherry shrimp is between 6.5 and 8.0. Temperatures should be maintained between 65 and 85 degrees Fahrenheit. While some aquarium hobbyists claim that cherry shrimp can tolerate a wider range than this, it’s not worth experimenting with it. If your temperature or pH fluctuate slightly, it’s nothing to worry about, but major dips in temperature or pH can cause your cherry shrimp to become stressed. When they are stressed, they will lose much of their vibrant coloration. Do not place your cherry shrimp in an uncycled tank, and perform regular water changes of ten to fifteen percent about once a week. Cherry shrimp, like many freshwater aquarium species, are very sensitive to ammonia and nitrites. In particular, they are vulnerable to massive spikes in ammonia content. As a result, you should try to keep your water parameters stable at all times. If you have a larger aquarium, this will be easier to maintain than if you were keeping a small one. You can safely keep your cherry shrimp in an aquarium as small as five gallons. However, this size will not be sufficient if you are planning on including your shrimp in a community tan, or if you are planning on keeping multiple cherry shrimp in the same location. If you want to include more cheery shrimp, you can add more at the rate of two to five shrimp per gallon. Remember that these creatures are prolific breeders, so fi you add more, you will need to keep up with the young that they produce, too. It’s better to have a tank that is a bit too big rather than one that is too small. If you decide to keep all of your young cherry shrimp in order to create a colony, invest in a tank that is at least twenty gallons in volume. In the wild, cherry shrimp need plenty o places to hide. You should mimic this environment by including lots of live plants and other decorations in your tank. This will give your cherry shrimp plenty of hiding spots as well as open access to a healthy food source. Include driftwood and moss in the tank, as well as live plants. 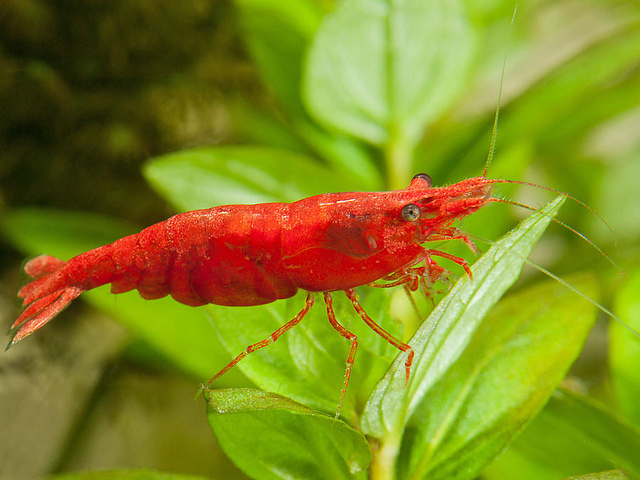 Cherry shrimp will eat plant matter debris, and this is totally safe. 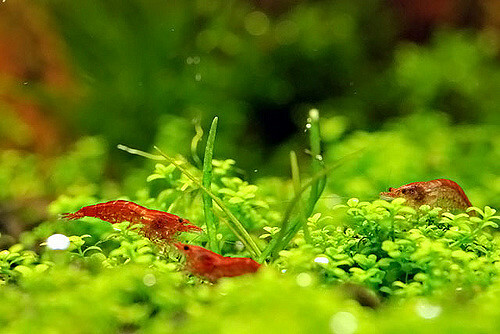 Moss is necessary to provide hiding places for the shrimp, and it’s also used in their grooming processes. Java moss is a great choice for a cherry shrimp tank. You don’t need to worry much about the type of substrate you use in your tank – generally, whatever kind of substrate is necessary for your other aquarium inhabitants will work just fine for your cherry shrimp. The best substrate for cherry shrimp is small pebbles, which mimics the naturally rocky surfaces of their native environments, but they can thrive in just about any setting besides this, too. Cherry shrimp are scavengers in the wild, and will eat just about anything they encounter. As omnivores, they will eat both meat and plant matter, the latter of which usually takes the form of algae and other small organisms. Luckily, the fact that cherry shrimp are omnivores makes it incredibly easy for you to feed them. However, don’t be fooled by assuming that just because your cherry shrimp are algae-eaters, they can live on a diet of tank algae alone. 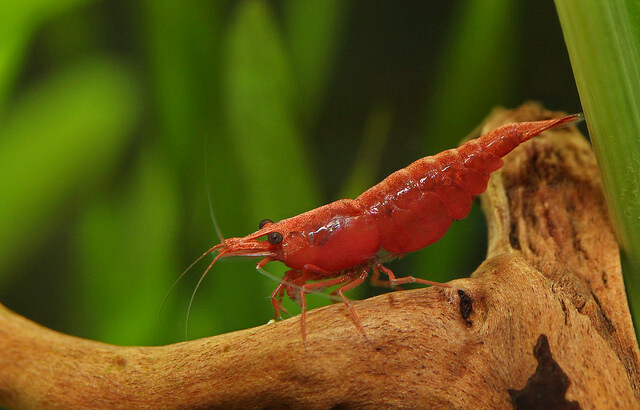 Instead, you need to make sure your cherry shrimp are fed a diet that is well-supplemented with a high-quality pellet. You can find several brands that make a pellet specifically for shrimps and other invertebrates. In addition, it doesn’t hurt to add frozen foods and vegetables, which can add some beneficial but hard-to-find nutrients. Make sure any vegetables you choose to feed are boiled down and blanched. Good choices include spinach, lettuce, zucchini, cucumbers, and carrots. You need to make sure these foods are broken down into very small pieces so that your cherry shrimp can eat them (and so you won’t have to worry about them dirtying the tank). It is very easy to overfeed cherry shrimp. Although they make quick work of cleaning your tank of excess plant matter and other detritus, you may need to remove excess feed from time to time. This will prevent it from altering the delicate chemistry of your water quality. Any food that is not eaten within two hours should be removed from the tank. Cherry shrimp are peaceful invertebrates that can be kept with just about any kind of aquarium species. 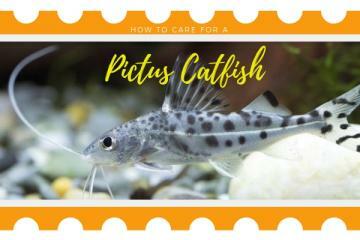 They won’t hurt your fish because they don’t have any aggressive behaviors or defensive mechanisms. However, you do need to choose tank mates that will not harm your cherry shrimp, since they have no way to take care of themselves. Shrimp are often food sources for predatory fish, so try to avoid any larger, aggressive fish that may view these tiny crustaceans as food. 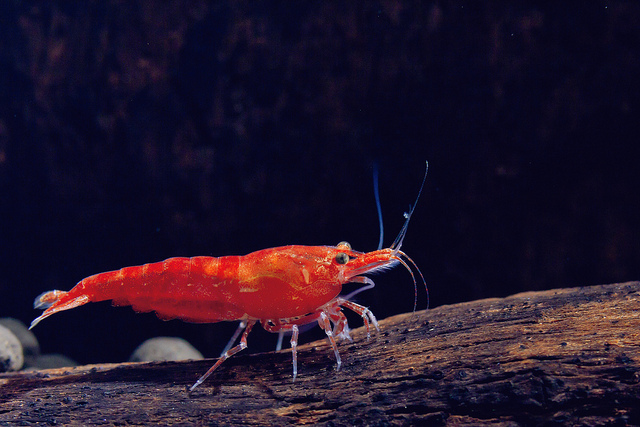 Higher grade shrimp should be placed in a single species aquarium, while lower grade shrimp can be housed with tank mates. 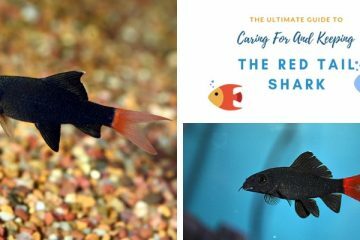 While there is no shortage to the types of species that can safely coexist with cherry shrimp, some of the best include tetras, dwarf gouramis, plecos, catfish, and freshwater snails. 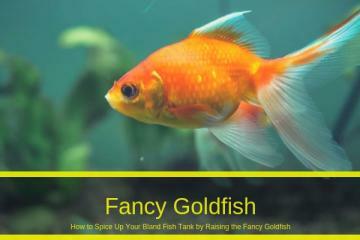 Avoid fish such as cichlids, discus fish, arowanas, and oscars. If you are concerned about any of your fish confusing the cherry shrimp for food, just make sure you provide plenty of plants and hiding spaces in which it can hide. You should also avoid keeping cherry shrimp completely by themselves. Tyr to keep at least ten together at a time, as this will compensate for any accidental deaths by confused, hungry fish, and will also limit aggressive displays of dominance. You will also be able to see them interact with each other, which is a rewarding experience in itself. Make sure you have more females than males, and add two to five shrimp per gallon. Although they produce a practically nonexistent bio load, you do need to make sure the size of your tank can keep up with the number of shrimp you have introduced. 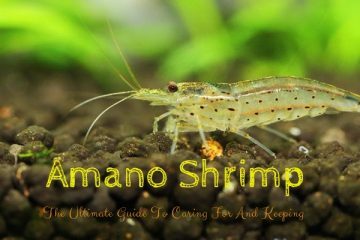 You can also safely add other types of shrimp to the tank, such as ghost shrimp, vampire shrimp, and Amano shrimp. 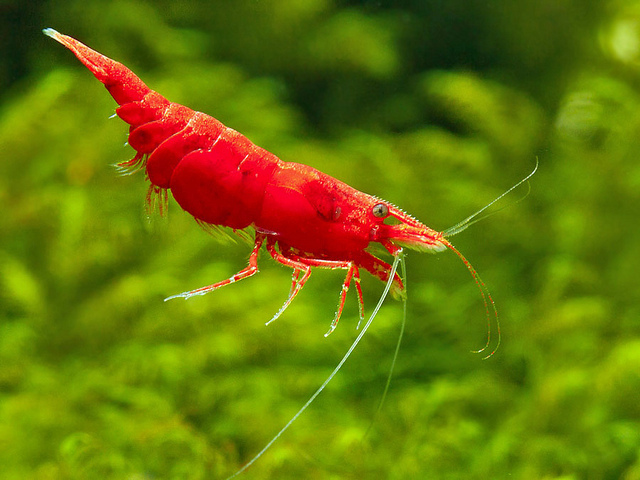 Cherry shrimp are prone to the same diseases as are most other aquariums shrimp species. These creatures are sensitive to copper, which is found in many fish foods and medications. Make sure you check all fish food ingredient labels (if you are housing other types of fish) to make sure they do not contain copper, as this can make your cherry shrimp extremely ill.
Cherry shrimp will shed their exoskeletons from time to time. This is nothing to worry about, and is simply a natural process as they outgrow their old homes. Leave the exoskeleton inside the tank, as they will eventually eat it and use it to fuel the regrowth of another exoskeleton. If you have any aggressive fish in your tank, keep an eye on them during this time. Your cherry shrimp will be more vulnerable to injury without its protective shell. There are several diseases that are known to affect cherry shrimp. One of the most common is vorticella. Vorticella is a protozoa and looks much like a white fungal growth on the nose of your shrimp. Although it can easily kill your cherry shrimp, it can be prevented by keeping up with regular water changes and removing uneaten food. If vorticella appears in your tank, act quickly to eliminate it by giving the tank a thorough salt bath with aquariums alts (avoid iodine). Bacterial infections are also common in cherry shrimp, as hey are with other freshwater shrimp species. This can be tough to diagnose, but often you will be able to see the infection if you have a cherry shrimp with translucent portions. It will look like a pink, inflamed area, and while treatment is not yet available for most bacterial infections, they, too, can be prevented by good tank hygiene. You may also notice fungal infections in your shrimp populations, as you will with any creatures living inside your freshwater aquarium. Fungal infections are completely unavoidable, as fungal spores are everywhere in both the air and water. You might notice fluffy growths on the abdomen or head of your cherry shrimp, and while most fungi are combatted by a healthy cherry shrimp’s immune system, you should isolate your shrimp until you can treat it with an antifungal medication. Given time, the shrimp will rid itself of its fungal infection by shedding its exoskeleton naturally. Cherry shrimp are incredibly easy to breed. You should make sure your tank is heavily planted, which will provide comfort to the shrimp and prevent them from becoming stressed during this delicate period of life. Feed your shrimp regularly with high protein foods, and raise the water temperature to 82 degrees Fahrenheit. More precise feeding and increased temperatures tricks the cherry shrimp into believing it is summertime. In the wild, cherry shrimp breed during the summer. 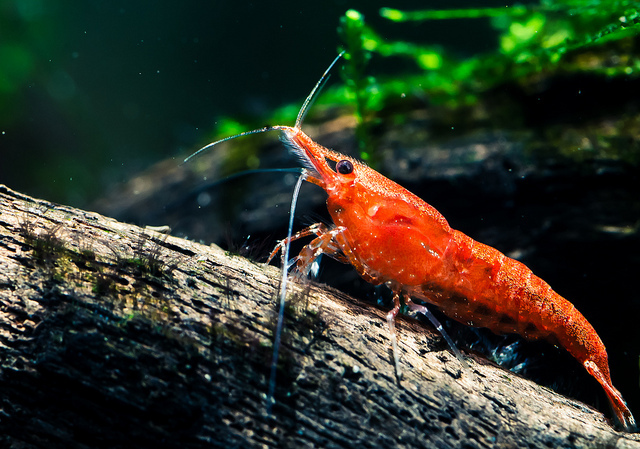 Cherry shrimp can start breeding when they are about four to six months old, but keep in mind that if you have shrimp that are new to your aquarium, it can take them some time to acclimate. You will know your females have been bred when you notice eggs “berried” beneath her tail. She may fan her tail occasionally to provide oxygen to the eggs. Cherry shrimp will look much like their parents when young, except they will be small. You should keep them in an isolated location once they first hatch, so that they are not eaten by larger organisms. They can eat plants and other matter until they are old enough to be fed flake or pellet food.